In support of both our Acorn Clients and Acorn University Students, and our dedication to our Aspiring Innkeepers, Acorn Internet Services, Inc. is now providing Acorn clients who have, or are about to have, their Inns on the market for sale. This list provides a chance for Aspirings to match up their dreams and objectives as they search for their Inns from a list of our own Acorn Internet Services Clients. Please choose a State to begin your search. Award winning 4 Diamond AAA rated 5 room, 7000 sf. Bed and Breakfast and Wedding Chapel located in beautiful Northwest Arkansas in the heart of the Eureka Springs historic district. Purpose built in 1999, amazing one of a kind property. Owners built mansion around centuries old stain glass, custom oak trim molding and historic artifact. Furnished, turnkey sale just bring your smile and desire for adventure. Spacious upscale owners quarters with extra guest bedroom and bath and an additional 500 sf. of unfinished space. Property is in excellent condition, new roof,new A/C and heater, washer, dryer and dishwasher. Beautiful grounds and landscaped gardens with fish pond. Private mountain and forest views. Owners are retiring after 10 years. Advance reservations are active, as well as strong repeat clientele. Angel at Rose Hall is truly a business, in operation since 1999, providing current owners a positive cash flow, and pleasant occupation and lifestyle. Lucille’s Mountain Top Inn & Spa is an upscale bed and breakfast for sale located atop a mountain in Northeast Georgia, and situated just 90 miles north of Atlanta, offering easy access to the interstate. Built in 2001, this Arts & Crafts styled inn offers breathtaking views, luxurious accommodations, a full-service day spa, and a very strong bottom line. Notable features include: 360 degree mountain views, multiple levels with spacious guest rooms (including two recently renovated handicap-accessible rooms on the first floor), a recently renovated conference room with access to the terrace, and a main level spacious living room with fireplace, breakfast room, kitchen, and huge wrap-around porch. All 13 contemporary guest rooms are richly decorated and appointed with luxurious amenities. The inn also includes recently constructed owners’ quarters with a separate entrance, a full kitchen, and privacy. The area features the Sautee Valley, known for its Native American history, pottery and glass craftsmen, wineries, and adventurous outdoor opportunities as well as the popular, four-season Chattahoochee National Forest. Nearby activities include golf, kayaking, horseback riding, mountain biking, and scenic drives. Area restaurants range from casual BBQ to elegant fine dining. Ohia House Bed and Breakfast is a 4 bedroom, 3 full bath inn on the lovely big island of Hawaii, close to extraordinary natural wonders as well as dining and shopping in Pahoa. The lush and tropical one acre lot is a feast for the senses. The inn has 1,958 sq ft of living space with a wraparound deck and lanais. The large kitchen has room to prepare gourmet meals. The “business side” of the house is decorated in an understated Island cool theme with a private entrance to both the inn and pool as well as a private lanai. The inn is currently run with one guest room, but there are additional rooms that could be used for guests to create additional revenue. Dreamcatcher Bed and Breakfast is an upscale, five-star rated Inn on TripAdvisor, Booking.com, and Expedia. Situated in the Teton Valley in Idaho, 29 miles from Jackson, WY and 68 miles from Idaho Falls, ID, this 6,900 sq. ft. home on 20 acres has 360-degree mountain views. Remodeled in 2011, this turnkey B&B is being sold fully furnished and features 6 bedrooms, 6 full baths, 2 half baths, 2 offices, a massage room and a gourmet chef’s kitchen with two sinks and dishwashers. The back area features a large deck and fire pit. Dreamcatcher offers the perfect setting for the current use as a B&B or as a corporate retreat or family getaway. The owners have taken meticulous care of the property and have installed state of the art features such as an Electric Vehicle Charger for clientele – one of the few in the area. A caretaker’s quarters and private bath are also located on the lower level. The area is known for its proximity to adventure, such as: Yellowstone and Grand Teton National Parks, fly fishing, white water river rafting, hiking, horseback riding, or skiing. With high summer occupancy and a potential for growth, Dreamcatcher is waiting for its next innkeeper to take it to the next level! Built in 1892, #143 of George Barber Design, this classical Queen Anne Victorian style Bed & Breakfast is an Illinois inn for sale that features intricate woodwork, pocket doors, style typical of the era. Taylorville, Illinois is the county seat of Christian County and is located about 20 miles from Springfield, the state capital of Illinois and the heart of the Land of Abraham Lincoln. A National Registry town square and family-oriented atmosphere abounds in this Mid-West town and the inn, with its classic wrap-around porch and 8 guest rooms, all with either gas or electric fireplaces and en-suite baths. Many of the guest rooms offer double whirlpool tubs, and all are uniquely appointed. The inn hosts travelers from a number of large corporations in town providing this inn with year-round, mid-week business. With a high level of repeat visitors, this inn boasts a large dining room, two parlors (one of which can double as a second dining room if desired), large quarters with huge bath and whirlpool and recently renovated kitchen complete with granite counter-tops, storage and elbow room. The large owners’ quarters includes a HUGE private bedroom, office space (which could also serve as a 2nd bedroom), and oodles of storage and easy access to the hub of the inn. A separately priced Carriage House, currently with two connected suites and a long-term rentable apartment is also available and can serve as alternate owner’s quarters to add flexibility to the use of the Main House for meetings, events, and conference space to add to the growth potential of this inn’s business. Popular historical location! Architecturally historical Inn! Modern owners’ quarters! Great mid-week corporate business! Great price! Just what every future innkeeper asks for! So if the Bed &Breakfast of your dreams is a historic inn, with spectacular architectural interest, potential for additional growth, area attractions galore, and having strong business activity and occupancy, this is the inn for you! Contact Marilyn Bushnell of The B&B Team® / Bushnell and Bushnell Services, Inc. for a tour. Listed on the National Register of Historic Places and a county Landmark, the Inn at Woodhaven is one of Kentucky’s premier Inns. The Main House and Carriage House, both built in 1853 and completely renovated, are spectacular examples of American Gothic Revival architecture. The house feature 14′ ceilings, floor-to-ceiling diamond pane windows, huge arched doors, original ceiling plaster work, and shutters. The third building, Rose Cottage, was built in 1998 using architectural details from the original buildings. Each of the eight spacious guest rooms is furnished with elegant and comfortable antiques and reproductions , all with private baths and whirlpool tubs and showers. Two have fireplaces. All rooms have access to a porch, balcony or patio. The property is centrally located with easy access to all the attractions and restaurants in Louisville. Louisville draws guests from all over the country and world to enjoy horse racing and the Bourbon Trail. This historic bed & breakfast is one of Kennebunkport’s most popular Inns (a TripAdvisor 5-Star!). The inn has been lovingly maintained and features five comfortable and elegant guest rooms and a one-bedroom suite. There is a large two-bedroom owner’s residence attached. Within walking distance to the shops and restaurants of Dock Square, the Inn sits in a peaceful location with mature gardens next to the Cape Arundel Golf Course. Click here for more information and photos on this listing. The 1750 Inn at Sandwich Center is a historic and well-established bed and breakfast inn that enjoys a stellar reputation as recognized by the many excellent reviews on travel sties and in guide books. The circa 1750 home was converted to a bed and breakfast in 1989 and, for the last 13 seasons, has been lovingly restored and operated by Jan and Charlie Preus to facilitate their desired lifestyle of living on Cape Cod and traveling south in the winter months. They have operated the Inn from May to December with gross revenue approaching $120,000 or almost $25,000 per guest room. Revenues can be increased by expanding the months of operations and marketing strategies. The property is located in the heart of the Town Hall Historic District in Sandwich, MA, the oldest and most quaint of Cape Cod’s villages. The beauty and history of the village is a magnet for tourists from throughout the world. Every room has been redecorated to the current state of excellence that exudes casual elegance and seaside charm. The grounds and gardens have been restored and now beautifully frame the historic building and highlight its best profile with each changing of the seasons. One of the nice advantages to owning this property is the separate, bright and spacious, two-story living quarters for the innkeepers. The purchase of the home as a “turnkey” business would include all of the necessary operational furnishings. Detailed Inclusion and Exclusion lists available upon request. Revenue and expense statements furnished on request to qualified buyers. Screened gazebo with hot tub, Private owners quarters/townhouse with a large, 2nd floor bedroom, sitting area, and full bath, and a first floor dining area, sitting room, office area, and full bath, plus separate heating and a/c. Additional business related assets include: Existing advance bookings, Guest Database from the last 13 seasons, Excellent Reputation and market position, 2 fully developed websites: www.innatsandwich.com and mobile.innatsandwich.com, 2 existing Blogs connected to the websites, Transfer of domain name ownership: www.innatsandwich.com and www.1750innatsandwich.com, Marketing and Directory Listings, Vendor and Service Contact Listings, Guest Management System, Consulting advice. Guests from around the world come to pamper themselves at the elegant High Pointe Inn in West Barnstable. two room suite with fire place and separate entrance; and a private and spacious owner’s quarters , with living room , dining area, office area, bedroom and full updated bathroom. There’s a 75 foot deck with views of the gardens below. The B&B is extremely successful, out-pacing most 6-9 room Inns with gross revenue of apprx. $180,000 ! Proximity to Sandy Neck Beach, area dining, shopping, historic sites and other Cape attractions make this an ideal location. The High Pointe Inn earned a Certificate of Excellence from TripAdvisor and was selected one of the Top Ten Inns in the U.S. and was Voted 2014 Best Inn on Cape Cod by the prestigeous Cape Cod Life Magazine. The ultimate Chatham, Cape Cod experience awaits at this 4-diamond, 16-guest room historic Inn with lovely manicured grounds and gardens just a short stroll to Chatham’s iconic Main Street, famous for shops, galleries and award winning restaurants. The inn is the perfect home base for guests to enjoy Cape Cod’s ocean beaches, golf, theater, island ferries, whale watching excursions, extensive biking and walking trails and more. All 16 luxuriously appointed guestrooms and suites offer fireplaces and en-suite bathrooms, some with whirlpool tubs. The Inn’s sunlit dining room is the perfect spot to serve breakfast to guests from the full commercial kitchen. The guest experience here is all about this amazing location and all that Cape Cod offers. Ample guest parking and well-trained staff. Licensed as a B&B. Offered turn key. Strong proven revenue stream. Financials available. The Firelight Inn on Oregon Creek is an elegant turnkey Bed and Breakfast retreat located in the heart of Duluth’s historic Congdon neighborhood. Built in 1910 for grain baron George G. Barnum, this 9,000 square-foot mansion is situated at the end of a dead-end street adjoining Oregon Creek on a private and manicured lot full of maple trees and perennial gardens. The Inn features: 7 bedrooms (5 guest suites and 2 owner’s suites that feature gas fireplaces and a private bathrooms with Jacuzzi tubs for two. ); outdoor second floor decks; an enormous wrap-around enclosed front porch; 12 fireplaces; a formal dining room; 2 spacious common areas with oak wainscoting, beamed ceilings and sconce lighting; a butlers pantry; a gourmet kitchen with granite countertops, custom cabinets, and a walk-in cooler; the original billiards room, which is currently used as the owners’ private living room. This beautifully-appointed home has been featured in numerous publications included Better Homes & Gardens Magazine. Firelight Inn has been a home away from home for countless travelers and now it can be yours! Historic 1908 Greek Revival mansion built by prominent attorney, Samuel Dickey. Located in Marshfield, Missouri the inn is 23 miles from Springfield, 50 miles from Branson, and a short 3 hour drive from St. Louis, Tulsa and Kansas City. The Inn has been lovingly restored and expanded by the current proprietors who occupy the innkeeper’s suite on the 3rd floor of the main house. Stroll through the stately ionic columns into the grand entrance hall where high ceilings, transom windows and French doors bathe the formal spaces in natural light. Original wood floors provide warmth in period style. The 2nd floor boasts 3 bedrooms, 3 baths, a sleeping porch and an office or 4th bedroom. The proprietors have built a thriving business for weddings, reunions, parties and simple quiet weekends for countless guests for 28 years. As the Dickey House B&B enterprise grew, the proprietors thoughtfully expanded the lodging capacity on the grounds while continually updating the main house. A beautiful gazebo, 3 additional guest cottages (housing 4 bedrooms and 4 baths), an art studio and garage complete the amazing estate. Loganberry Inn is a nationally recognized inn with a history of notable guests. It is in the Historic District of Fulton Missouri, just 5 minutes off I-70 about 1½ hours from St. Louis, 2 hours distance from Kansas City. The inn is strolling distance from 2 colleges, the National Churchill Museum, the Brick District with shops, chef-owned restaurants, Art House, Auto World Museum and an historic live performance theater. Also nearby are two wineries: Katy Trail and Golf. The turn-key 1899 inn has a total of 7 rooms and 8 baths including owner’s quarters, spacious parlor w/fireplace, formal dining room, granite kitchen with built-in pantry, main level laundry room, sunroom, covered front porch, brick courtyard, wedding gazebo and hot tub with enclosed gazebo. It has been successfully operated for over 22 years with the current owners who are ready to retire. Smaller, Manageable Luxury Inn…with Profitability! The Fleur-de-Lys Mansion is a 4 guest room St. Louis, MO bed and breakfast for sale located in one of St. Louis’s grand historic districts. The inn is the B&B of choice in the upscale Compton Heights neighborhood. The diverse mix of attractions is what brings guests to this area of St. Louis, including numerous parks, architecture, Fine Arts, professional sports, universities, nature conservatories, ethnic restaurants and shopping. The magnificent Fleur-de-Lys Mansion is a thriving enterprise! The Whistling Swan Inn is a superior nine guest room northern New Jersey bed and breakfast for sale in the Skylands Region of New Jersey. The Skylands offer natural mountain beauty, lakes, historic towns, and agricultural attractions. Situated on a quiet street in the historic district of Stanhope, near Lake Musconetcong and Hopatcong State Park, this 1905 Victorian style mansion features original woodwork, built-in cabinets and fireplaces, spacious and comfortably furnished common rooms, a wide wrap-around veranda, and English style gardens. The Inn’s nine unique guest rooms vary from standard rooms to luxury suites and all have fireplaces. The Inn also has 14 off-street parking spaces and an electric vehicle charging station. Located only 50 miles from New York City, visitors to the region spend over $575 million/year on lodging and overall tourism spending is growing. Other local attractions and activities include antiquing, boating, historic sites, farm stands, golf courses, museums, unique shops, wineries and an plethora of restaurants. Whistling Swan Inn’s guests visit for romance, pleasure, business, and outdoor recreation. Occupancy is high and the Inn is open year-round. The Inn earns excellent traveler ratings on TripAdvisor™ and is a member of Select Registry® and the Diamond Collection, an indicator of superior quality. The price is supported by the Inn’s current cash flow and is accurately based on a Marketability Assessment and Valuation. Located in the charming New England-style village of Clinton, New York, The Arbor Inn of Clinton is a bed & breakfast that overlooks the highly-ranked, Hamilton College’s 1,350-acre campus. Situated just 10 minutes from the NYS Thruway, the Arbor Inn is also ideally situated for travelers exploring the central New York region. The Inn has received excellent ratings on TripAdvisor™ and is ranked #1 in Clinton. The owners are motivated to sell in order to retire and have dropped the price, creating a fantastic opportunity! This handsome 19th century farmhouse sits on 4.8 lush acres featuring mature maple trees. There are 3 generous guest rooms and 2 guest suites as well as great common areas and a gourmet country kitchen. Outside features include a courtyard garden, as well as spacious decks, porches and patio. The Inn operates 2 premier guest suites in downtown Clinton, known as Williams Street Lodging. The suites include kitchenettes and are conveniently located near area restaurants, shops and the village green. All rooms offer private baths, A/C, cable TV and high-speed Wi-Fi. Click here to learn more. Own this lovely purpose-built destination Inn tucked away in the woods and yet near everything wonderful to do in the Rhinebeck area of Duchess County. Sited on 6 acres of woods, this private country retreat is near the village of Rhinebeck, Bard College, the Omega Institute, Vanderbilt, FDR Presidential Library and Museum and the Culinary Institute of America. Five large beautifully appointed king guest suites offer an elegant and comfortable escape from the ordinary. Your guests will love the gathering room with its tree house views in every season. The kitchen is well suited to serving breakfast your guests will love. The Inn is an established business being offered turnkey with furnishings, guest list, web site, social media and advanced reservations. Financials are available to qualified buyers. Looking for a historical colonial North Carolina bed and breakfast for sale? The Captains Quarters Inn, built in 1907 is an eight guest room full service inn with off street parking located on a residential street in the quaint historic town of Edenton, North Carolina, named the 11th “Best Small Town to Visit in 2015” by Smithsonian Magazine. Edenton is located in the northeastern corner of North Carolina, 1 1/2 hrs from Virginia Beach, 1 1/2 hrs from the Outer Banks, 2 1/2 hrs from Raleigh and 5 hrs from Washington DC. The first colonial capital of North Carolina, known as “the prettiest little town in the south,” is full of history as is the surrounding area. Guest come for both leisure and business travel. Captain’s Quarters Inn is an exquisite example of Colonial Revival architecture located in the Historic District one block off the main street and two blocks from the Albemarle Sound. The inn has eight rooms with private baths that have been renovated and upgraded. A magnificent front porch is furnished as an outdoor room. The commercial approved kitchen has the licensing to do dinner for both guests and the public. Cooking classes, private events and mystery weekends are offered thought out the year. Being within a block of downtown Edenton, and three blocks to the yacht harbor and Albemarle Sound makes the Captain’s Quarters a perfect choice for buyers seeking a North Carolina bed and breakfast for sale. Guests enjoy shopping and “poking around” Edenton part of the mystery weekend and a convenient feature for guests year round. Read about Edenton North Carolina and it’s charm and history in our blog. Captains Quarters Inn is comfortable, clean and ready to go. There is ample potential for growth in the business with new energy and creativeness. Captain’s Quarters Inn is offered for the REDUCED price of $725,000. For details, please contact Peter Scherman of The B&B Team, Inc. 434-286-4600. This is a rare opportunity to own one of the most unique properties and financially successful bed and breakfast inns in Asheville and Western North Carolina. The 1889 WhiteGate Inn and Cottage for sale Asheville has the perfect location, being the closest of any inn to downtown. This 11 guest room bed and breakfast inn for sale is one of only 2 AAA 4 Diamond, Select Registry® inns in Asheville, also listed on the National Register of Historic Places. Comprising 4 buildings on a single lot (unusual in itself) the main inn has 4 guest rooms on the second floor and 1 luxury suite on the garden level. The spacious 2 bedroom, 2 bath owner’s quarters with great room and kitchen are on the third floor.The first floor is dedicated to dining room, guest common areas, kitchen, and office. The 2 story Carriage House, built in 2007, has 3 luxury suites and a fully equipped exercise room with sauna. An adjacent 1905 Bungalow, which was completely renovated in 2008, boasts an 1100 SF 2 bedroom suite and a 650 SF 1 bedroom suite, both with full kitchens. There is ample attic storage in the Bungalow. The quaint Guest Cottage rounds out the guests spaces as a single, 1 bedroom luxury space with fireplace, 2 person Jacuzzi, and private porch. Double whirlpool tubs, steam showers, fireplaces, and other luxury amenities abound throughout the inn, resulting is an enviable ADR of about $260.00 a night. One of the most unique features of the WhiteGate Inn and Cottage for sale Asheville are the extensive gardens which have established the inn as a horticultural destination. The WhiteGate gardens feature over 600 perennials, rare and unusual trees, shrubs, and conifers. Described as a tropical oasis in the city, the garden has been featured in magazines and has hosted gardening groups from all over the United States. the focal point of the main garden is an extensive water feature with 3 ponds and 9 waterfalls connected by a stream course. Many outdoor rooms and sitting areas are positioned throughout the property creating a tranquil respite for the guests. Complementing the gardens is a 1200 SF commercial grade greenhouse. If a new owner chooses not to cultivate plants (the inn is known for orchids), the footprint of this structure could be used to build 4 additional guest rooms, a permitted use for this property zoned Office/Office. The very successful 1889 WhiteGate Inn is just three blocks from the edge of Downtown Asheville, 2.3 miles to the Biltmore Estate, 4 miles to the entrance of the Blue Ridge Parkway, and 2 blocks from I-240, which passes through Asheville. Fantastic location sets this charming historic inn apart from the rest. A Bed of Roses, Victorian B&B is a distinctive Queen Anne Victorian inn located in the beautiful Montford Historic District, just 5 ½ blocks or ~¼ mile from the heart of vibrant downtown Asheville, NC.. The B&B is also a short ten-minute drive to the Biltmore Estate, a major tourism draw to the area. Built in 1897, the home has been meticulously restored to maintain it’s Victorian charm while offering modern conveniences and luxuries. Spotless and well maintained. Updates include gas fireplaces Jacuzzi-style tubs and private bathrooms for each of five unique guest rooms. One of the guest rooms is a luxury suite with sitting room and balcony. Fully furnished with exquisite antiques and tastefully decorated. Large, inviting front porch overlooking well maintained rose and perennial gardens. Large updated kitchen with an abundance of workspace and commercial grade appliances. Consistent year after year occupancy with plenty of potential for increased revenue. Separate, above ground, newly renovated owner’s cottage just steps from the main house with large private deck and herb and vegetable gardens. Off street parking lot. Brand new responsive website included in sale. Website is designed to be easy to update by new owners without additional costs. The C.W. Worth House is a well -respected and substantive fixture in Wilmington, and has been running uninterrupted since 1985. The current license has been grandfathered under city ordinance for seven guestrooms. All seven rooms have a private bathroom, including a a 2-person whirlpool in the Hibiscus room. The three-level home includes 5800 sf heated living space, as well as a 900 SQ basement for storage and a laundry on both the first and second floors. The 66×210 sf lot is completely fenced and features well irrigation, as well as alley access. The property has a brand new roof which is “Timberline high definition shingles with a life time guarantee” and two new HVAC systems. The property is offered as a turn-key bed and breakfast, fully furnished and including prior guest list, website, and existing marketing materials including photographs and artwork. *This property could easily be used as a residential or commercial property. This home is currently used as a quaint Bed and Breakfast. Downstairs you will find a parlor, dining area and powder room available to guests. There are also living quarters downstairs for the hosts that include a large bedroom and bathroom, living area and kitchen with custom cabinets and tile countertops. Take the custom staircase to go upstairs and you will find 3 guest rooms. Each guest room features a private bath with jetted tub and other amenities for your guests. One of the staterooms is a suite which includes a fireplace and private balcony overlooking the pond. Outside the guest rooms is a kitchenette and large storage closet. Outside the home you will find peaceful gardens, a large flagstone patio, a large workshop and circle drive. Throughout the home you will find ornate and custom details such as arched doorways and iron gates. If luxury and serenity are on your checklist, you must see this property! Please contact Broken Bow Real Estate for more information or to schedule a showing. Eagle Rock Lodge is an 8-room resort with over 400 feet of McKenzie River frontage and is located halfway between Eugene and Bend, Oregon, in the highly sought after Willamette Valley region. Featuring both rooms and suites with 2-4 person capacity and king or queen beds, the luxury units may include jetted tub, fireplace, wood stove, or private outdoor spaces. The property features gardens, riverfront for fly fishing, common areas spread over 4.21 acres, and over $486,000 in Capital Improvements from 2015-2018. Guests receive made-to-order breakfast with access to chef-prepared meals. Currently, the hotel has a 120-person outdoor wedding/event capacity for gatherings for additional income and is zoned with room to expand to accommodate 15 total guest rooms for greater upside potential. This property also features an approximately 1500 sq.ft. residence with 2 bedrooms, and 2 bathrooms – perfect for Owner/Operator, or for Manager’s Quarters. Includes full kitchen, living room, den, fireplace, laundry, and covered porch with river view apart from the main lodge for privacy. Located in the Brandywine Valley, and originally built as a summer home 12 miles from Philadelphia, this 1856 Federal field stone Mansion House was designed in grand style, with 12-foot ceilings on the first floor and 10-foot ceilings on the second and third floors. Valley Forge marble and antique Delft tiles line fireplace surrounds, a stately Palladium window overlooks the main stairs and custom woodwork displays the height of period craftsmanship. The Mansion House features architectural detail, loving restoration and gracious design of exquisite English-country style decor. A few highlights; 11 bedroom, 10 bathroom home, elegant formal living room flanked by French doors on three sides, accented by a plaster frieze, punch and gouge molding, and built-in mahogany Colonial bookcases (with 13 panes) is intimate enough for conversation and grand enough for a piano and two chandeliers. The former dining room, with original floors and a massive carved mantle, now serves as the billiards room attracting all ages, while the large, sunny, garden-view solarium beckons those seeking quiet time. The spacious dining room boasts room for a table seating 12, plus a window nook for more. The adjacent modern kitchen is any chef’s dream, with modern appliances, three ovens, miles of counters and a large butler’s pantry. There is a separate laundry room with large folding table, the scale throughout is spacious. Back stairs lead to a private 650-foot apartment within the mansion. Bedrooms of all sizes, many with fireplaces, sitting areas and private bath. A full attic and basement for additional storage space. The beautifully landscaped 6.67-acre property boasts specimen oak, hickory, cypress, magnolia and copper beech trees, plus mature rose gardens, koi pond and life-sized chess set. In addition to the main house, there are two cottages, (both with living room, dining room, kitchen and two bedrooms), four-bay garage, three-stall barn, 2.5-acre fenced paddock with turnout shed, and two-story tool shed. Currently licensed and operated as Hamanassett Bed & Breakfast. Property address also know as 115 Indian Springs Drive, Media PA. Listed Sale Price of $1,585,000 includes FF&E with some exclusions. Which consists of over $300,000 (by recent appraisal) of furniture and accessories. If you have ever dreamed of owning a Bed and Breakfast this is the one for you! Great Location – Baltimore, Washington, Philadelphia, Wilmington, Northern Virginia and New Jersey are all within a 2 hour radius of Ascot House and New York City is approximately 3 hours away. Ascot House is centrally located for all the Pennsylvania Dutch tourist attractions in a quiet little town on the Susquehanna River. Ideally situated for Antiquing, Wineries, Museums, Quilts, Amish, Farmer’s Markets, Covered Bridges, Parks, Fishing, Canoe and Kayaking. Only 21 miles from Harrisburg and Hershey Park, and less than an hour from Gettysburg and Longwood Gardens. Built in 1801 and completely restored and renovated in 2006, this beautiful house, with its 18 fireplaces, combines historic and architectural integrity with modern comfort and luxury (check out the bathrooms!). Private owners quarters, and lovely English garden, 6 guest bedrooms/suites each with private bath, working fireplace and central air-conditioning. Library, Parlor, Dining Room, Wine Cellar and Porches all suitable for entertaining and enjoyment. This great profitable B&B has had year round business and excellent cash flow for the last 6 years. Owner originally worked in D.C. during the week, and operated the B&B primarily at the weekends, then seamlessly switched to full time, so this B&B has proven itself well suited for operation on both PT and FT basis. Operating just on PT basis the average B & B income has been approximately $8,000-$10,000+ per month – year round. Plus additional income from Weddings and Events. Average weekend occupancy 85% Average total occupancy rate – 46%. There is tremendous potential for additional income. Maple Leaf Inn is just minutes from Woodstock, Vermont, what many consider to be the quintessential Vermont village. The Inn has earned AAA Four Diamond status for 21 consecutive years and with membership in Select Registry: Distinguished Inns of North America, the current owners enjoy a well-established business with high occupancy of 50%, an active average daily room rate of $186 and a high percentage of repeat guests. Due to the Inn’s size, it is easily operated by an owner couple, with minimal outside staffing. The Maple Leaf Inn is tucked into a serene oasis of birch and maple trees, open areas with lush gardens and well-landscaped grounds in the quaint village of Barnard, Vermont. While the Inn enjoys a secluded setting, it is minutes from the center of Barnard, with its steepled churches, Silver Lake and State Park, and the oldest general store in Vermont. Woodstock is a scenic 10-mile drive south of the Maple Leaf Inn on Vermont Route 12. The drive winds its way past working farms and striking landscapes, including the Billings Farm and Museum and the Marsh-Billings-Rockefeller National Historical Park. The Vermont Law School, Dartmouth College, Simon Pearce and the King Arthur Flour flagship campus are all close at hand. In addition, the Inn is located about three hours from Boston, five hours from New York City and one and a half hours from Burlington International Airport, the nearest commercial airport. Inn Victoria is a classic Victorian home built on the Village Green in the lovely town of Chester, VT. The inn boasts eight guest rooms with baths, a parlor, a den, a gift shop and two dining rooms for guests’ use, as well as a lovingly tended garden, which can be used for intimate weddings and elopements. The inn also includes a kitchen for guest breakfast prep. The innkeepers’ quarters are on the second floor, with a master bedroom, two bathrooms, a large living room and full kitchen, as well as another room and bath one floor up. This successful and still growing Bed and Breakfast offers 4 well-appointed rooms and suites all with unique furnishings, fireplaces and en suite bathrooms. Spacious common areas and owners quarters. There are over an acre of manicured lawns and gardens that play host to many intimate weddings for added income in the beautiful town of Williamsburg, VA.
Offering 4 rental rooms, it is one of the few B&B’s in Williamsburg capable of operating more than 4 rooms. Sitting on over 1 acre of property, it is able to be increased to 6 rooms. All stone and stainless kitchen remodeled in 2010. Bathrooms updated in 2015. Wonderful occupancy year round, fabulous and well-placed Web site and most contents will convey. America’s historic triangle offers Jamestown Settlement, Historic Jamestown, Yorktown Battlefield, Yorktown Victory Center, and Colonial Williamsburg. Busch Gardens Williamsburg and Water Country USA are both within 5 minutes to the bed and breakfast. Williamsburg Winery is 3 minutes away. The many golf courses attract a premium guest to the B&B. These are just a few of the local draws to the area. Building is 4,300 sq. ft.
A beautiful example of how it can be done right, this southwest Virginia bed and breakfast for sale has it all! With five luxurious guest rooms in the main house plus a private cottage with sauna and hot tub surrounded by gardens, The Oaks Victorian Inn in Christiansburg is a Select Registry® AAA Four Diamond inn. From the moment a guest walks through the doors, quality and attention to detail combine with personal touches that say, “Welcome home!” For the person aspiring to own a small inn that offers the best of the best, who is looking for a southwest Virginia bed and breakfast for sale that they can be truly proud of, this is it. The current owners enjoy a spacious and private quarters with two large rooms (including the turret) and two full baths plus ample storage on the third floor. The kitchen has been updated. The dining room is full of light. And the grounds are nothing short of spectacular. So, check it out. For a solid business with potential for growth and a lifestyle that epitomizes a small, luxury inn with a record number of years holding the Four Diamond rating from AAA, The Oaks Victorian Inn is perfect. Only a short drive to Blacksburg, home of Virginia Tech, 2 miles from I-81, minutes from the Blue Ridge Parkway, and just 10 minutes from Radford University. Wow! Grand and Gracious… Southern Hospitality fits right into this 6 BR, 6.5 BA brick amid historic Downtown Marion. A beautiful home that radiates charm. Custom renovations in 2011. Currently operating as an award winning Bed and Breakfast, but can easily be used as a boarding house or a stately residence. Show-casing 5 en suites with unique furnishings set up around the Collins family story. Beautiful woodwork throughout, grand staircase, parlor, formal living & dining rooms, large commercial kitchen & laundry. 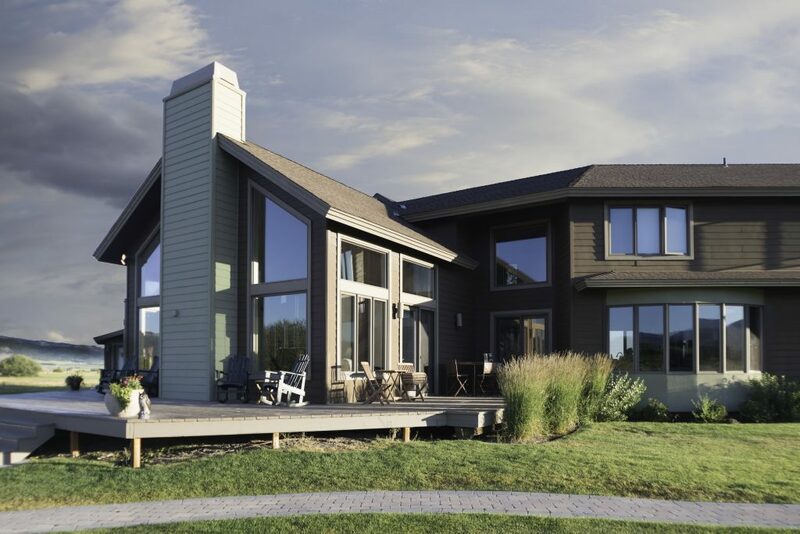 Mechanical aspects of the home include radiant heated floors, water cooled air conditioning system, security system wired in, 3 working gas fireplaces, in-house audio system, gas quick recovery hot water heaters, air filtration system & battery powered back up system. This home offers a host of extras not found anywhere else in Smyth County. Lots of storage on each level. Two car garage with large parking area along w/garden patio & gazebo. Pre-approved buyers only. Selling 100K below appraised price. Nestled at the base of the mountains between Lexington and Staunton, VA lies a magnificent 8 guest unit Shenandoah inn and cabins for sale. Sitting on over 50 acres of fields and woods, the main house at Steeles Tavern has five guest rooms, common areas, commercial kitchen, and spacious owner’s quarters. Strategically placed around the land are three luxury cabins. The five guest rooms and suites in the main inn are all tastefully decorated and furnished, with fireplaces or Franklin stoves, and private baths boasting luxury amenities like whirlpools. This Shenandoah inn and cabins for sale has lovely landscaping, paths meandering the lawns around rock outcroppings, leading to secret and peaceful resting places along the stream. The large spring-fed pond is stocked with fish and anchors the lower part of the property. For further details, please contact Peter Scherman, 434-286-4600, of The B&B Team, Inc. There is a fenced, in-ground pool that can be used by the guests or reserved for the owners, however one wishes. But it’s there to enjoy! There are three cabins spread across the 51 acres. One is near the main house. The other two are accessed by a separate drive and are located at the top of the hill with dramatic views of the Shenandoah Valley. These two are strategically separated to provide the utmost privacy. All three have small but full kitchens, spacious living areas with stone fireplaces, baths with whirlpool tubs, hot tubs on the totally private back porches, satellite TV, WIFI, and even a grill. Many guests never leave, while other enjoy exploring the many attractions in the area near this Shenandoah inn and cabins for sale. Of significance to note is that Rockbridge County, VA will allow the construction of up to 5 more cabins on the land. With over 50 acres, there are places to site new cabins that will offer the same kind of privacy and features (views!) that the current cabins enjoy. Guests can drive up to the Blue Ridge Parkway, down to Lexington, the home of Virginia Military Institute and Washington and Lee University. Up I-81 in Staunton is Mary Baldwin University. In all directions there are antique shops, great hiking, awesome views, and easy access to dining and shopping. The inn sits on “old Route 11,” an interesting drive up and down the Shenandoah Valley, and is only a couple of miles from the Interstate (81 & 64). In short, it’s a great location! The metrics for this inn are excellent with a 9.0% cap rate and 4.9 GRM. If you’ve attended our seminars or know the industry, you’ll recognize that this Shenandoah inn and cabins for sale is priced right. Otters Pond Bed and Breakfast is located on Orcas Island, WA in the top three island tourism destinations in the United States and a world-class tourism destination market. Impeccably maintained by the founding innkeepers twenty years ago, this profitable B&B boasts five guest rooms, each with private bath, a separate three-bedroom owner’s residence with four-car garage, and all the furnishings, amenities and equipment needed to run this successful establishment. It is rare indeed when an established B&B comes up for sale on Orcas Island. Here is a unique opportunity for you to own a bed and breakfast that pays its way, and paves your way, to live in this magical island paradise. Deep in the forest at the foot of Mt. Constitution is Otters Pond Bed and Breakfast, a Pacific Northwest contemporary style cedar home and guest house with traditional detailing and Orcas Island charm. As soon as you arrive, fall into the embrace of tall cedars and firs. Enter the gate to a peaceful world of ferny greenery, birdsong, fragrant flowers and glittering pond waters. Otters Pond B&B is truly a retreat from our fast-paced world, providing rest, relaxation and rejuvenation for guests and the innkeepers alike. Step inside to an inviting entry and glance through to the well-appointed, light-filled kitchen and breakfast area. The kitchen, equipped with everything required to prepare delicious breakfasts for your guests, has a large island with cooktop and storage. Down the hall are two offices to keep on top of your business and a butler’s pantry/laundry/utility area. Serve guests at the dining room table, which can seat eight, in the cheery breakfast area overlooking the pond and birdfeeders, or even out on the spacious deck. One downstairs bedroom and bath opens off the sitting room, and another spacious bedroom and bath has a separate entrance off the front porch. Upstairs, you’ll find a library and three bedrooms, each with private bath. Otters Pond B&B’s features and appointments have been selected with great care. Sixteen skylights capture natural light throughout the main building. Ceiling fans create a gentle breeze in every bedroom in the main house and in the owner’s residence. Satellite TV is available, and with fiber-optic based high speed internet WiFi can be accessed throughout the main house and innkeeper’s quarters. Outdoor spaces include a shady porch with seating and a swing, and an expansive deck, which overlooks the edge of the pond and is built around a massive moss-covered hunk of bedrock. Views of the pond are also enjoyed from the private, therapeutic hot tub enclosed by a Shoji screen. When you own an active B&B, it’s nice to have your own space. The owner’s residence or guest house – just across the garden path – is near enough to the main house to be convenient but far enough away to offer a feeling of privacy. To save steps, an intercom system links the two buildings. The owner’s residence has two bedrooms and one bathroom, a kitchen with small dining area, and a sitting room. A third bedroom and bath has a separate entrance. There is a sweeping deck across the front of the house which affords lovely views of the pond and gardens.